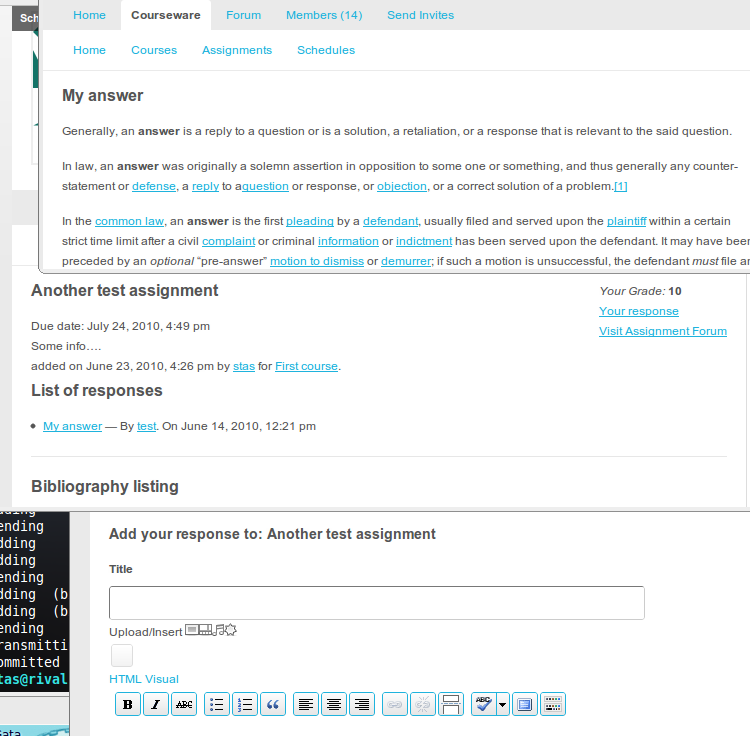 This means that a student now can leave a response to current assignment, once his response is published it can be viewed by anybody and graded/discussed on the assignment forum. A new response can be added only if the teacher deletes existing assignment, this way ensuring control on homeworks. I know this is bare minimum, and a lot of work can be done to improve this functionality, but it’s a start.